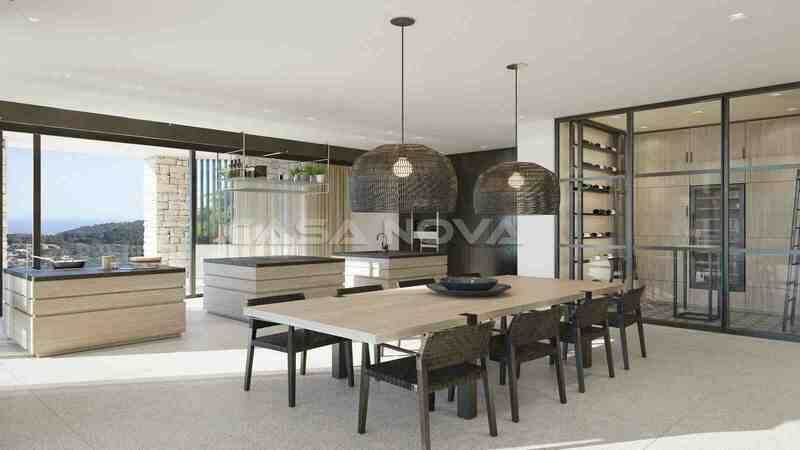 Real Estate Agent Mallorca: This fantastic new project of a luxury villa with pool and partial sea views is located in the attractive residential area Son Vida, in Palma de Mallorca. Completion is scheduled for the end of 2018. 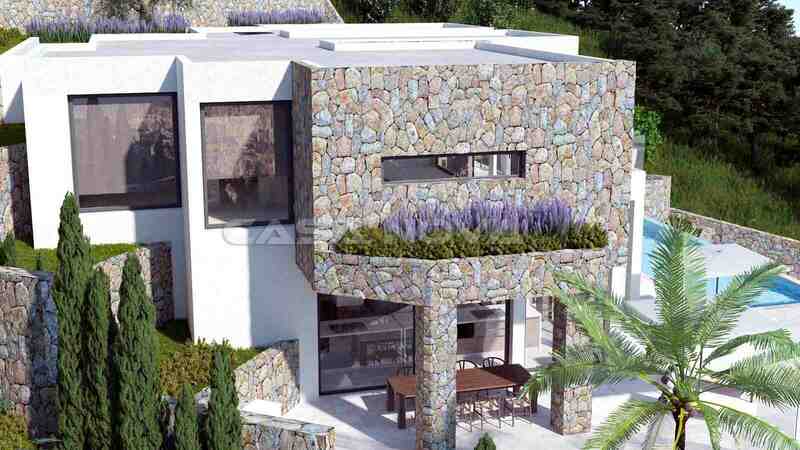 The sensational property is being built on a spacious plot of approx. 2010 m2 and will have a living area of approx. 762 m2. The distribution will be as follows: a very spacious living / dining room with fireplace and access to the outside area through large sliding doors, a modern open kitchen by Birgit Müller equipped with brand electrical appliances, 5 double bedrooms with fitted wardrobes, 6 bathrooms and a guest toilet. 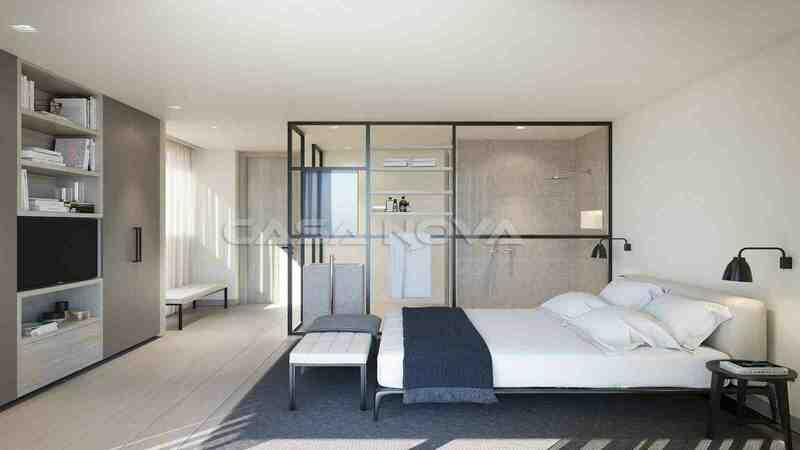 Each bedroom has an access to a private covered terrace with partial sea views. 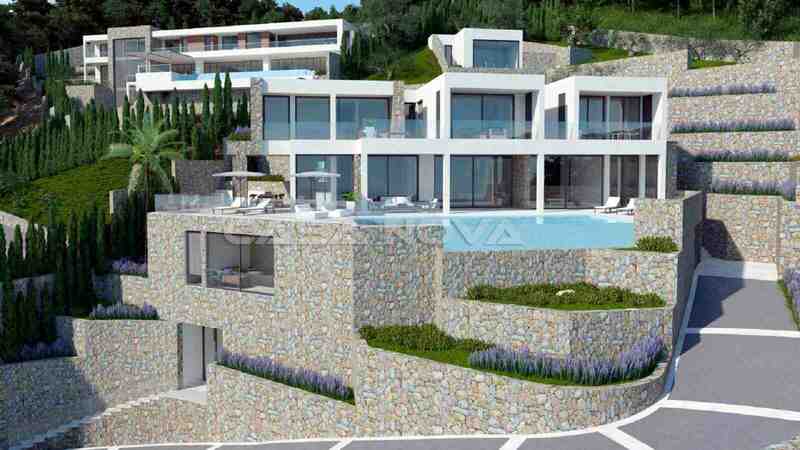 Furthermore, the villa will have a gym with sauna and wine cellar. 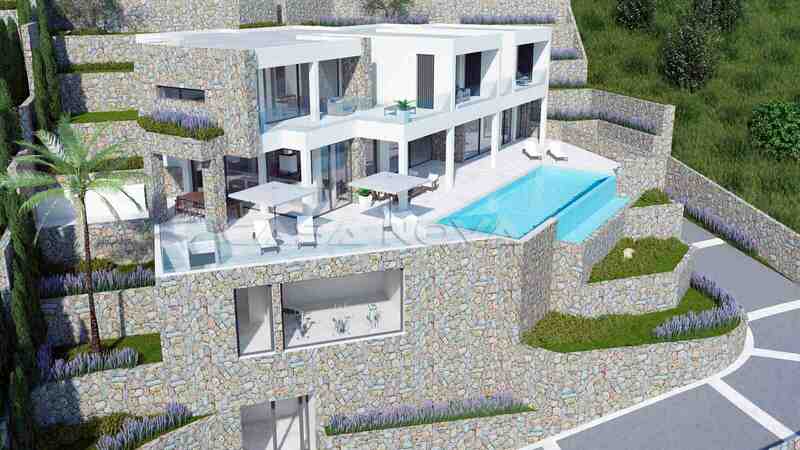 Outside there will be an inviting pool with sun terraces, where you can enjoy the wonderful ambience of Mallorca. 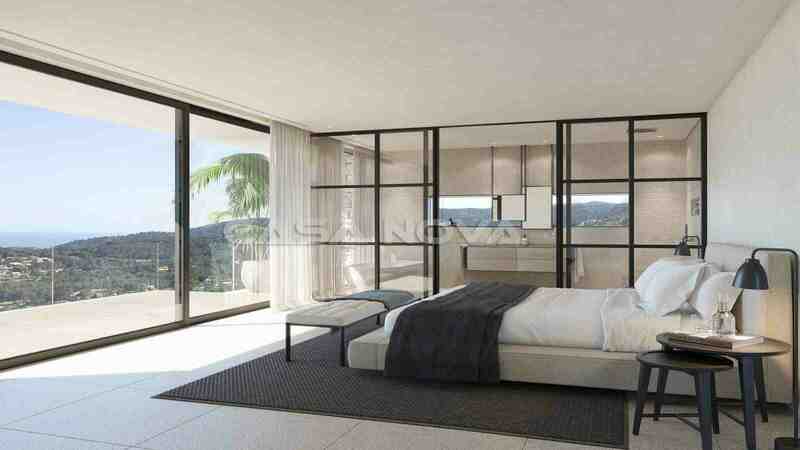 Other extras include: underfloor heating, air conditioning warm / cold, fireplace, double glazed aluminum windows, fitted wardrobes, and stone floors. There are 4 underground parking spaces available. 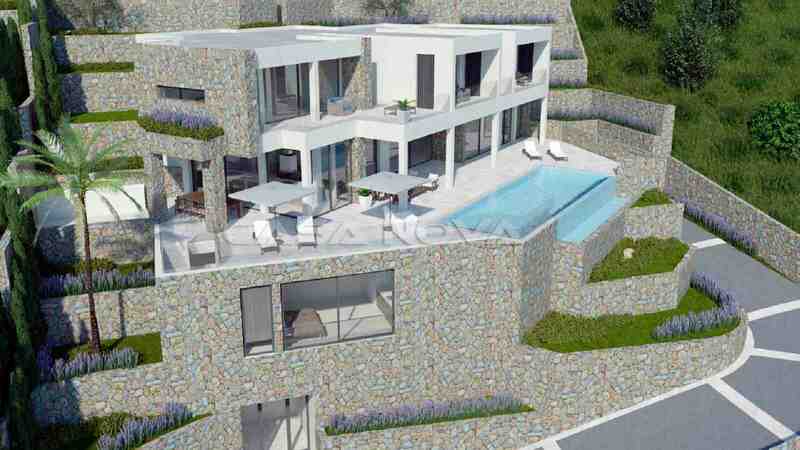 Situated on a hill at the foot of the Tramuntana Mountains, the luxurious residential area of ? 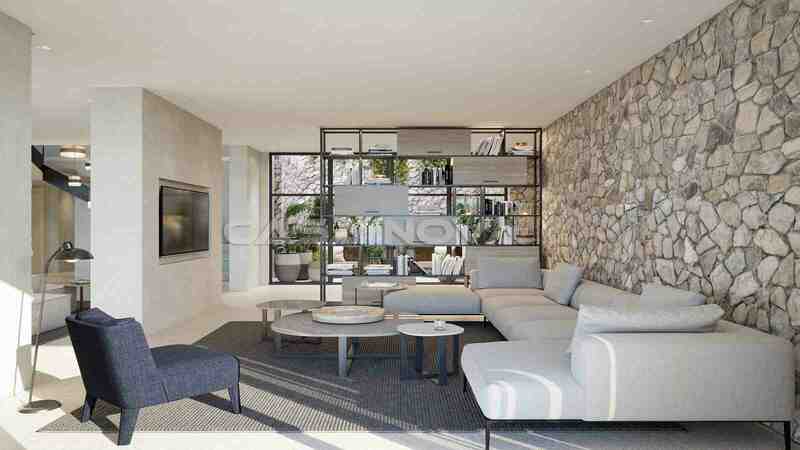 ?Son Vida boasts panoramic views of the city of Palma de Mallorca and the sea. 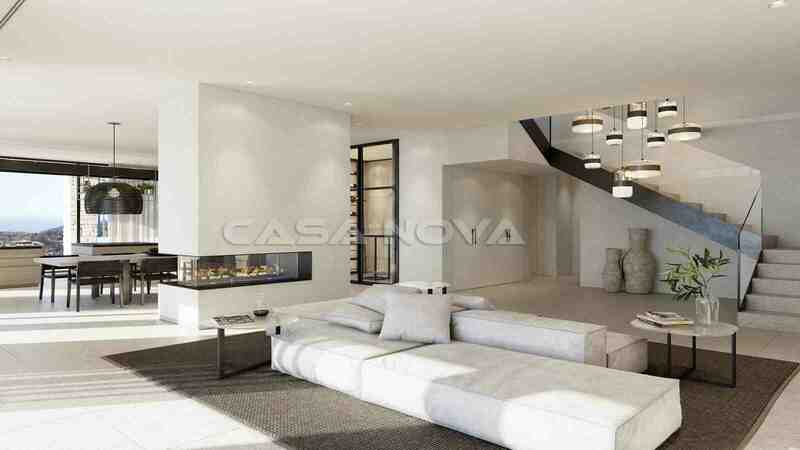 With its three well-known golf courses - Son Muntaner Golf, Son Quint Golf, Son Vida Golf - and the two 5-star hotels - Castillo Hotel Son Vida, Arabella Sheraton - Son Vida is one of the most attractive residential areas on the island. The international airport is only 15 minutes away by car. 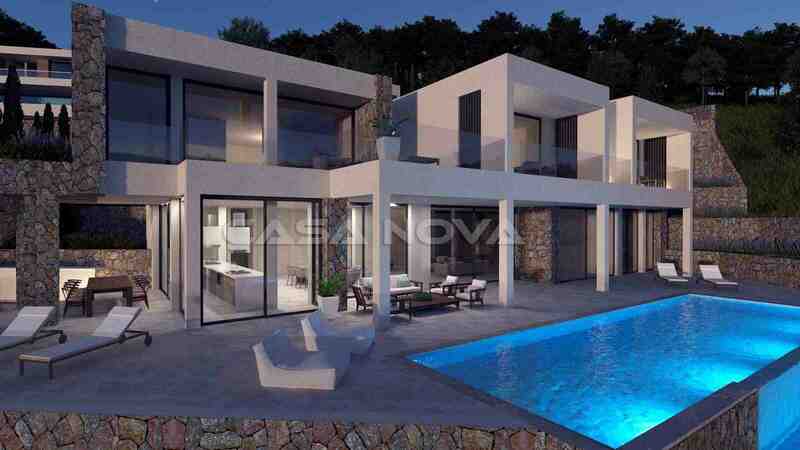 This Mallorca property is presented to you by your Mallorca estate agent and your specialist for the southwest of Mallorca, CASA NOVA PROPERTIES. For the buyer originates no commission. We accompany the buyer and seller with every step of the purchase winding up of your Mallorca real estate with our professional service.